Whilst we harp on about helping you become greener by going digital and ditching the paper, we aren’t resting on our laurels. 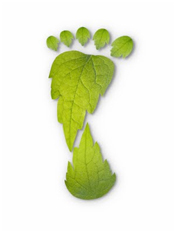 At DataSpace UK we have our ‘green’ policy in place and try to be as environmentally pc as possible everyday. It’s our way of not just acknowledging but also trying to protect our world for future generations. So if your green policy expects you to use green service suppliers, look no further. Our services will help you be greener too. Talk to us about how we can help your organisation go paperless. Call us on 0800 028 8956.